Kuki and Wally Sketches. In মতামত. HD Wallpaper and background images in the Codename: Kids পরবর্তি Door club tagged: codename kids next door knd characters cartoons sector v.
OK, you know my "I Present To You, Art Class!" pic? Well, on the way back to class from art, I showed David the pic. He was like "You draw that?" I was like "No, duh!" So, I made this during Math to show him I really do. And I threw Hoagie in there cuz I was bored. HOAGIE? HOW'D YOU GET IN THERE? 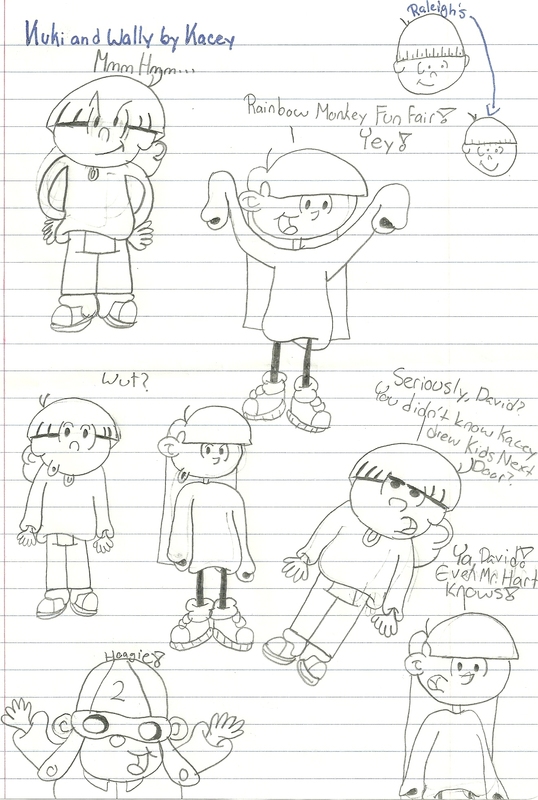 XDDD And yes, my math teacher DOES know I draw Kids Next Door. I always draw them on the back of my tests and my 'Math Sponge' (beginning of class routine). XD It's funny. I like the pic of Hoagie on the bottom. It's like on Monty Python when they go "And now for somthing completely different!"